Mermaids-at-heart, rejoice! Our latest fun craft is made easy to do it yourself with a surprise ingredient: paper napkins that look like mermaid scales! 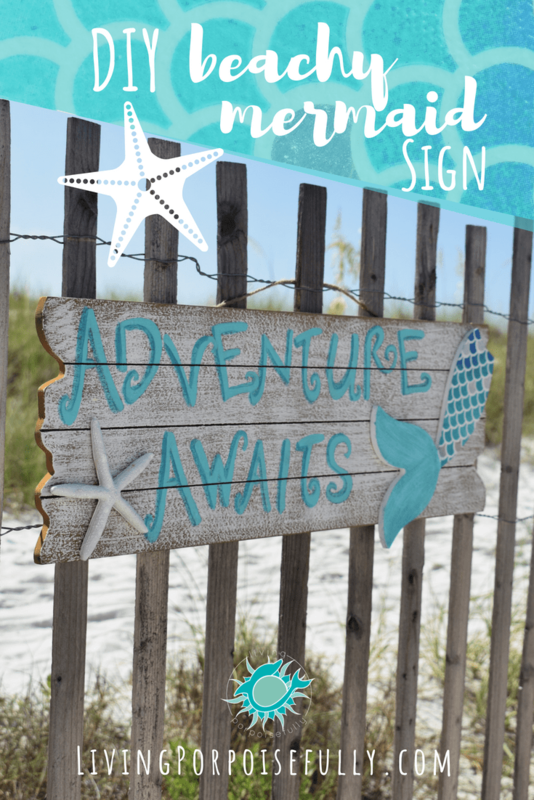 Get ready for a no-stress, splashy adventure that’ll bring that mermaid spirit to your walls. Have fun! One of our friends is a pure mermaid at heart! So bubbly, joyful, heart of gold, and eyes lit with adventure. She inspired us to create something that would reflect that sea-inspired soulful spirit, so we set out to make something to decorate her walls. We came across a fabulous inspiration — printed paper napkins that look like mermaid scales (or fish scales, whichever you happen to prefer!). Ooooh we can see the possibilities for so many variations: coasters, wood crates, and more that match the pattern! Do a little bit of planning so that you know where you want the letters, mermaid tail, and starfish. You can flip the tail, get a good vision of the letter placement with the stencils, and figure out how you want everything arranged before you start! Once the mermaid tail is completely dry, place it upside down on the napkin section that you want it (only one of the sections of the napkins we used had silver scales). Then use the pencil to trace it, and use the scissors to cut it out. Use the paint brush to apply Mod Podge to the painted side of the mermaid tail, position the napkin on top, and then paint Mod Podge on top of the napkin to seal it. You can gently press any large wrinkles out of of the napkin with the paint brush or your fingers (be careful not to tear the napkin, it gets pretty soft and can tear easy if you’re not gentle…if it does, on the bright side there’s more than one napkin that comes in a pack!). Let the glue dry before hanging, and then soak in the mermaid vibes! Whether you’re following our design exactly or adventuring out on your own design, we hope you make it an adventure! So cute and creative! The lucky someone who gets this for a gift. Great instructions. Another winner!